Storage Concepts Ltd recently completed a substantial installation for a major packaging supplies company. Who were expanding on a huge scale in Derbyshire. 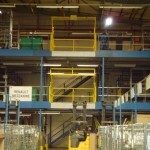 The project entailed dismantling an existing single tier mezzanine floor that Storage Concepts had previously installed. 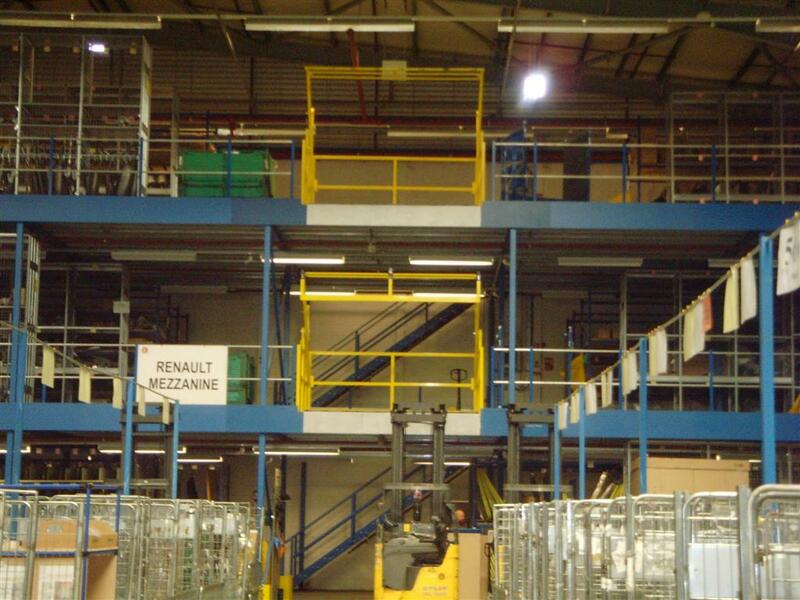 This was over five years ago, dismantling all the shelving and mesh cages that were on the mezzanine floor was required. All of the materials were removed from the premises and taken to Storage Concepts fabrication factory. In the mean time where the existing steel work was re-fabricated so that different finished floor levels could be achieved. This enable the customer to use the space as efficiently as possible for stacking their packaging products. The existing area where the mezzanine floor was originally situated was totally cleared. All of the existing floor fixings were sheared off to leave the floor in near perfect condition for new pallet racking to be erected in that area. 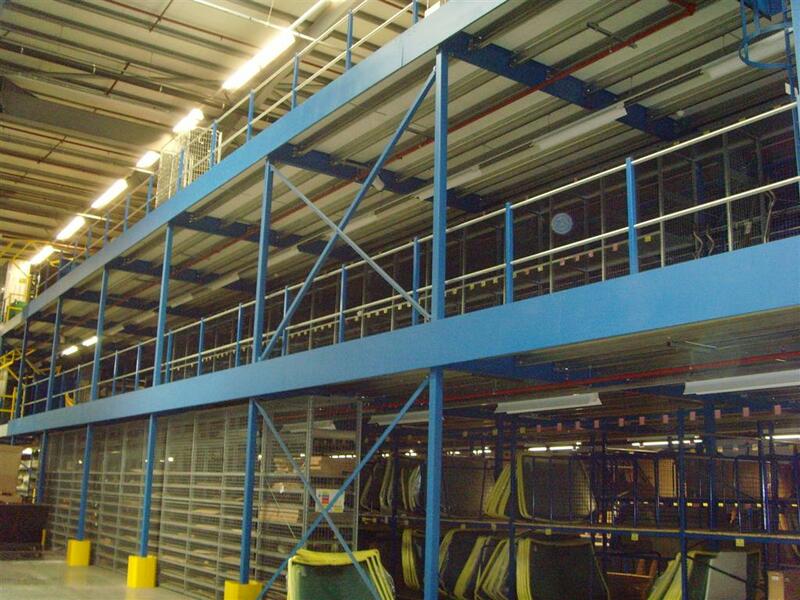 Furthermore the re-fabricated steelwork was then delivered back to site and completely installed into its new position as a two tier mezzanine floor. This included re-fabricated staircases and the addition of extra floor space. The whole process was completed within budget and within the time-scale that was set. The customer was extremely pleased with the end result. Which did not result in them losing any productivity and has enabled them to increase the amount of products they can now store to fulfil the new contracts that they have. 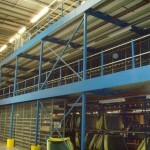 For further details regarding this or other mezzanine flooring projects, please contact Storage Concepts on 01664 410414 or use the contact form here. Storage Concepts – Making Space Work for You.